Trail is an "All-Season" recreational area, located near Shady Cove, upper Rogue River area of Southern Oregon. Native Americans en route to Klamath Lake from the north followed a trail over the Umpqua Divide, stopping at the site of the present day Trail and giving the town its name. 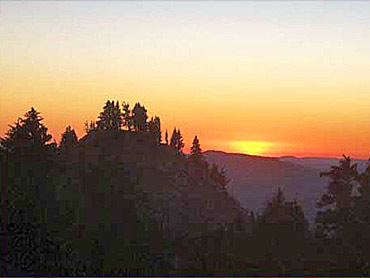 Trail's population is between 1,500 and 1,980.(appox). This is seemingly misleading due to the vast area it encompasses from Crowfoot Road to the Douglas County Line on Highway 227, and all of the Lost Creek Lake area. The region, located 10 miles north of Shady Cove is becoming increasingly well known for its history, and as a recreational destination for outdoor enthusiasts. Trail is home to the Upper Rogue Historical Society's Trail Creek Museum, devoted to the pioneer history of the region. 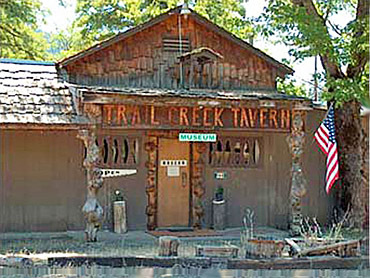 The former tavern features artifacts, pictures, and stories depicting life as it was on the Upper Rogue in the beginning and very early years of settlement. Call them for hours and verify free admission. Many Trail activities include: Fishing, Rafting, Boating, Water Skiing, World Class Golf, Hiking, Biking, Camping, Hunting, Equestrian Trails, Off Highway Vehicle Trails, Cross - Country Skiing, and Snowmobiling and of course the Trail Creek Tavern & Museum. Cole M. Rivers Fish Hatchery is the largest hatchery in Oregon, annually rears 3.7 million spring Chinook, Coho, Steelhead and Rainbow Trout. McGregor Park, on the way to the hatchery, features a Welcome Center and is a good place to learn about Lost Creek Lake. A beautiful park setting with playground and picnic and barbecue areas, McGregor Park is conveniently located adjacent to the Rogue River with wheelchair access for fishing. Walking paths follow along a flowing creek. The Upper Rogue River is legendary for its 'year-round' fishing with world-famous Salmon, Steelhead and Trout runs. Fish along the river bank, or arrange for a professional guide and boat. The Upper Rogue is a favorite of locals and visitors alike. "Rafting the Rogue" is a popular sport from May through September. Raft rentals are available in Shady Cove and throughout the Upper Rogue region or hire a guide to take you through some of the most magnificent scenery in the entire area There are numerous outfitters throughout the Upper Rogue, See our Recreation Section. Enjoy old logging roads that have been converted to miles and miles of off-highway vehicle trails and 150 miles of well-groomed snowmobile trails that take you to unsurpassed and breathtaking winter vistas, including Crater Lake. If golf is your game, the Eagle Point Golf Course, a championship 18-hole golf course, is rated as one of the Top 10 Courses in the nation. See our Recreation Section. With an abundance of wildlife, native plants, and wild flowers the Upper Rogue is a photographers paradise. You'll run out of film long before you run out of things to photograph. State and County Parks, as well as numerous private RV Parks, offer excellent camping & RV facilities. Stay a day, a week, a month or however long for for all-season fun!